THEY”RE COMING TO GET ME. So to keep from being Collyered, I occasionally cull my library. Which I did this past weekend. And while I was having an epic nerdpurr shuffling books around, I came up with an idea for a reading goal: The Backlist Alphabet Project! In the past years, I usually pick a reading goal that involves re-reading a favorite author’s catalog, like Kurt Vonnegut and Muriel Spark. And I always fail, and I think it’s because my brain refuses to let me re-read books when I have so many books that I haven’t read once. I also read new books almost exclusively, because of my jobs. Which is AWESOME, but I have so much backlist hanging around the house. I’m excited! I think there’s a good variety here. 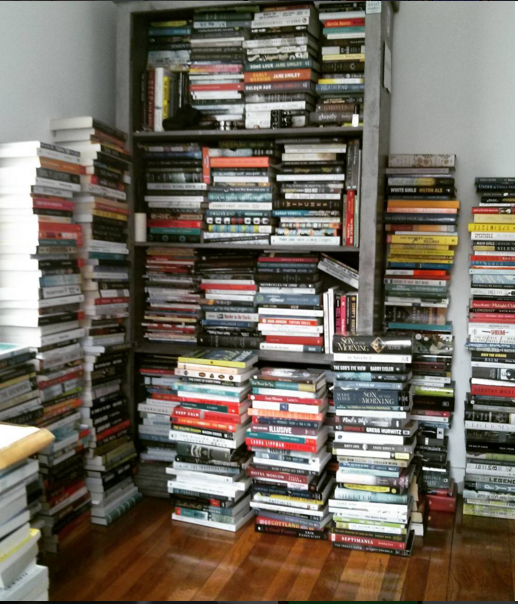 My goal is to read all of these, A-Z, in 2016. And I will blog occasionally about my progress. Have you read any of these? What are your reading goals for 2016? Do you know about Book Riot’s Read Harder Challenge? I love, love, love Daughter of Time. Read it in High School (when you were in diapers) and wrote one of my college essays about it. So good to see you haven’t read EVERYTHING. 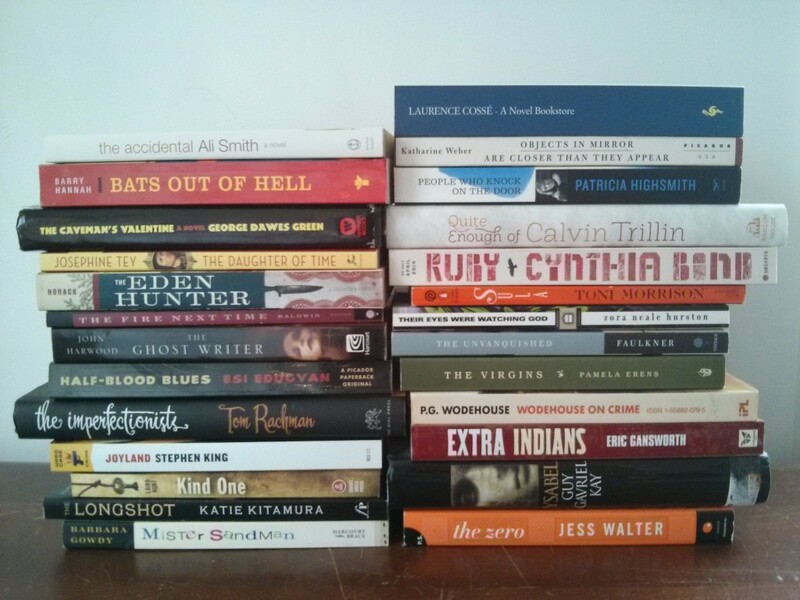 Many of these are lurking about waiting for me to read them as well, though some I’ve never even heard of! I actually really enjoyed Joyland. I hadn’t read anything by Stephen King in years and I picked it up at the grocery store on a whim. This makes me happy that Queen-Of-All-The-Readers Liberty actually has a solid backlist. My goal this year is the opposite- I am trying to read as many books as I can that are being published in 2016 (as much as I can). No specific number. I just got out of grad school (during which my reading for pleasure took a tremendous nosedive) a little less than a year ago, and I’m finally starting to feel the joy that I experienced reading books prior to undergrad, and I definitely have everyone at Book Riot, the read harder challenge, and the bookish persons I have subsequently gotten in touch with via the interwebz to thank for it. Yay reading! Great idea! I sometimes get overwhelmed by my backlist which then makes me have a hard time deciding what to read next. This ever happen to you?